While my name has been on several bathroom walls around town — from The Back Door to The Pearl — it’s never been on the wall of a distillery! Today, that changed. Thanks to the kind folks at Bulleit Distilling Co., who included me among the many who attended their distillery’s official opening today. I thought it was a kind gesture to include the names of friends and family who came to the event, but when I got out there and saw my own name included, I just about split a bung. 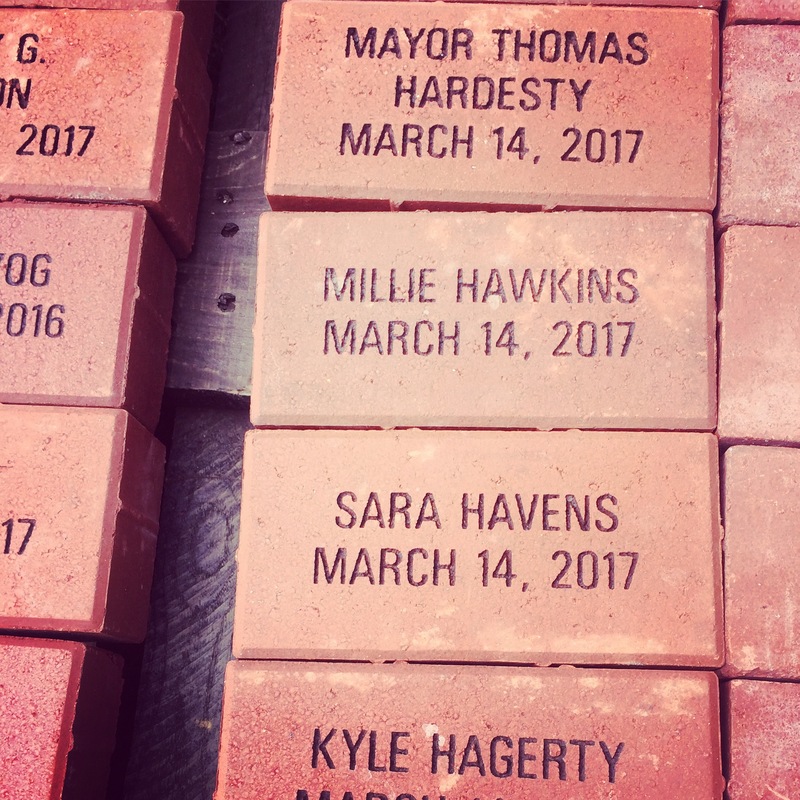 These bricks will be placed somewhere in the new distillery in Shelby County. Here are my story and photos on the amazing 300-acre facility.